With a president in the Oval Office whose mission it is to take down America. The Loss of the pilot program for the city of New Britain as proposed by our new Governor will be disastrous for the city. With many state properties within the city boundaries including the state Court,The Trade School,and all the properties controlled by the New Britain Housing Authority will require a tax increase to support this loss of income to our city. The New Britain Politicus is recommending mediation at city hall. It is not surprising to have the NBTC Chairman make such a wild recommendation. The fact is that his minions serving on the city council are the real cause of the existing problems, the latest bizarre activity being the President Pro-Tempore attempting to place a moratorium on the city purchasing goods or services from New Britain businesses simply because they are owned by elected officials, therefore: forcing the city to purchase from out of town vendors who do not pay taxes or employ people here in New Britain. Fortunately, three of the Democratic members of the council saw fit to break away from their leader's radical extremist accusations--causing a tie vote among the council and allowing the mayor to restore some common sense by breaking the tie with his vote. Mediation as suggested by the DTC Chairman is absolutely ridiculous. Obviously, it is the council President Pro-Tempore that needs remediation of some sort; however, as suggested by the council's Minority Leader, Trueworthy apparently did violate sections of the city charter with his false accusations being sufficient to cause his removal from serving on the City Council. The minority leader concluded his comments by saying that Trueworthy should never serve as the acting mayor in the event that the mayor should be out of town. This is the most sensible suggestion to come from the council in a very long time. Tune into the Dennis House Show on WFSB Channel 3 Sunday morning at 11AM. 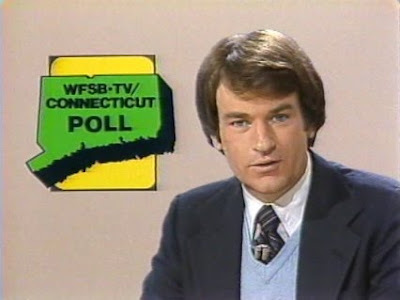 Don't miss this historical footage of a youthful reporter named Bill O'Reilly reporting on the stories of the day! If you like Bill O'Reilly, this is one show you won't want to miss. The Ct. Governor Threatens both the Democratic and Republican Party Lines. Is Malloy Governor of Fantasyland? 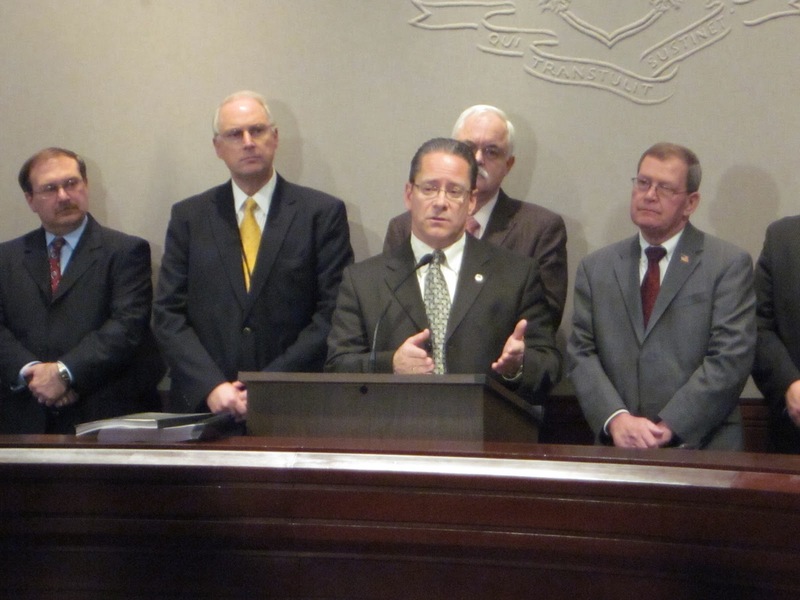 Referring to his promise to spend $250 million on transportation projects, Governor Dan Malloy said this transportation spending will help relieve the traffic congestion that's stifling business growth. Clearly Malloy is living in fantasyland if he thinks that traffic is what is stifling business growth in Connecticut. He needs only look to the members of his own party if he is looking to blame someone for Connecticut being one of the worst states in the nation in which to run a business. The major cause of business failure in Connecticut is the high taxation and ever growing regulations that the legislature (controlled by Democrats) keep forcing on businesses. One job destroying bill after another in the name of socialism. This governor of Fantasyland is the same Governor who stated that becoming the first state in the nation to force every business to give their employees paid sick leave and then making it a crime for the employer to interfere in the employee's use of his newly granted guaranteed sick time is the absolute highest priority for this governor. Apparently finding a way to close the $3.5 billion dollar budget deficit takes a back seat to forcing his own radical agenda onto all businesses in the state and then this guy can't understand why any business owner would be crazy to locate his business here? The only traffic will be on the highways exiting the state. Yesterday there was a small story buried deep inside a few newspapers reporting that the Obama administration would be refusing to enforce the Defense of Marriage Act because Constitutional Scholar Barrack Hussein Obama has decided that the law is unconstitutional. No matter where you stand on gay marriage, this is a serious incident that the liberal media is ignoring simply because it involves their Messiah. Neither the President nor the Justice Dept have the authority to "declare" any law unconstitutional. That is the job of the Supreme Court or for the Congress to vote to repeal it. If this becomes precedent, then which will be the next law this out of control, drunken with power President will decide he simply doesn't like and therefore will ignore? Imagine if President George W. Bush had decided on his own that the law protecting the right to unionize was unconstitutional because in his opinion it violated the right to free assembly, so he then ordered the NLRB to stop enforcing it. Would the press have remained silent then? If this incredible abuse of power by the executive branch is allowed to go unchecked, then we really have moved further into a dictatorship than any of us is ready to accept or to believe. Luckily I was able to post this message before the master switch was installed in the White House empowering Obama to shutdown the entire internet throughout the country any time he so pleases. Perhaps Chris Powell should be governor as he demonstrates he understands the cause of Connecticut's insolvency better than the real governor does. At least maybe he can help Dan Malloy find his Governor's owner's manual? Minority leader takes on the President Pro-Tempore of the City Council! Trueworhty's political charges accusing of "No Bid Contracts" going to Aldermen Mark Bernacki and W. Pabon caused quite a stir at yesterday's council meeting. First of all "no bid contracts" does not exist with no such terminology as pointed out by Mayor Stewart. But,the Minority leader Louis Salvio took his shot at the President Pro-Tempore citing that he doesn't deserve to serve as acting Mayor calling Trueworhty's charges Reprehensible and criminal, accusing Trueworthy of demonizing the city's public officials. He concluded by stating " I don't think this Alderman should serve on this Council. Some of the Democratic members of the council sided with Salvio's opinion by voting against Trueworhty's resolution causing a tie vote which failed with the mayor's vote breaking the tie. I guess Trueworthy will have to accept that he has been screwed out of the mayor's office by his own party. Better luck in 2 years! Governor Chris Chrstie Tells MSNBC He'll be waiting at the border to take all of Connecticut's jobs as Malloy runs them out of his state with his massive tax increases! Malloy's Tax Shell Game Won't Work! Malloy should be following the examples being set in New Jersey, Wisconsin, Indiana, and Ohio where those governors are doing the right thing by taking on unions to tackle the real cause of our problems. He bloviates endlessly about how he is reducing the size of the state by merging several agencies, but if you have the same number of people on the payroll, you have the same costs, no matter what you call the department they work for. I believe this is just a shell game Malloy is using to give the impression he is downsizing the state without laying off even one state employee. His Bridgeport Town Hall meeting, of last night, bears his statement of no layoffs for state employees. "We must all sacrifice". In my opinion, Malloy is simply a puppet for the same unions who elected him. Senatorial Elections voters results as of ten A.M .
New Britain's voter turn out at four P.M. 11%. Berlin's turnout as of l:30 P.M. is at 10%. NBC predicts only a ten per cent low voter turnout. Gerratana has three vehicles giving voter rides with Maryland plates. It good be from the Working Families Party??? Will Obama and Google open Internet access to average Cubans? strive to maintain a higher standard of journalistic integrity. Bernacki, owner of Sir Speedy." and give readers some context? Mayor Lucian Pawlak was in office. continues to beat a one-sided drum. bias and it's intentional effort to create an issue where none exists. It is more than troubling; it is a grave disservice to the community. On the Death Penalty Repeal Issue! It was well played out in our local papers however, what the media neglected to point out to the electorate was the fact that Terry Spent all of her time expressing what she had accomplished while serving as a state representative touting her memories of "yesteryear"! While Timothy expressed what is needed today, tomorrow and next year for the 6th. Senatorial district residents while referring to the same way he handled keeping our city taxes from being increased durig his tenure. It wasn't an easy task for Tim to out maneuver the Democratic control City Council in order to accomplish his endeavor. Please vote this coming Tuesday sending the right person to do the right job of representing us all. Gerratana For Senate: How Can The Public Trust Her? Public records indicate that Ms. Gerratana served as a member of the State Elections Enforcement Commission from January 2007 until June 30, 2010. This is a commission that by its own description was created in the wake of the Watergate scandal to ensure the integrity of the state’s electoral process with the specific authority to investigate possible violations of election laws. Didn’t Commissioner Gerratana even swear an oath to uphold and to enforce the election laws of Connecticut? 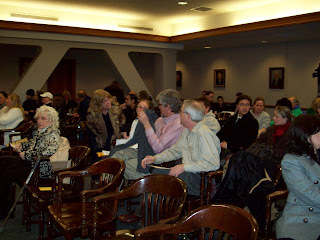 In April 2009, it became public that Ms. Gerratana’s son Greg was serving as a New Britain Alderman while living in the Berlin pool house owned by her husband, and at the time the younger Gerratana was using the New Britain mailing address of Dr. & Mrs. Gerratana’s main house as his official address while he was living in the Berlin pool house. To believe that then Commissioner Gerratana was not complicit in this egregious conduct by her son, one would have to believe that Commissioner Gerratana did not know that her son was a New Britain Alderman at the time, or that she was completely ignorant to the fact that the pool house was actually located in the Town of Berlin—you decide. In either case, soon after this information became public, while declaring that he had done nothing wrong, the younger Gerratana suddenly moved to another address in New Britain, but what, if anything, did the State Elections Enforcement Commissioner residing in this household do about this apparent violation? Fast forward to the fall 2009 election cycle. A series of vicious and slanderous attacks were posted against Mayor Tim Stewart on local blogs. After a New Britain Herald Investigative report, these attacks were determined to have originated from state computers in the Legislative Office Building. The investigation led to Greg Gerratana admitting responsibility to abusing state computers to launch these attacks. At the time, the younger Gerratana was working at the LOB as an aide to Representative Tim O’Brien, who was at the time challenging Mayor Tim Stewart in the November election. Greg Gerratana was also still serving as an Alderman while himself running for New Britain Tax Collector. As a result of this scandal, Greg Gerratana was suspended from his job at the LOB, and withdrew from his campaign for Tax Collector. While all this scandalous activity was occurring during the election process, why was the Elections Enforcement Commission nowhere to be found? Could it have anything to do with the fact that the “Admitted Serial Poster” as he became known in local blogs, had a mother on the commission? Now it is this former State Elections Enforcement Commissioner who apparently stood by and did nothing while all this was occurring in and around her own household during the last election who is challenging Mayor Stewart on his bid for State Senate. In any event, hasn’t the public had enough of Gerratana style politics? 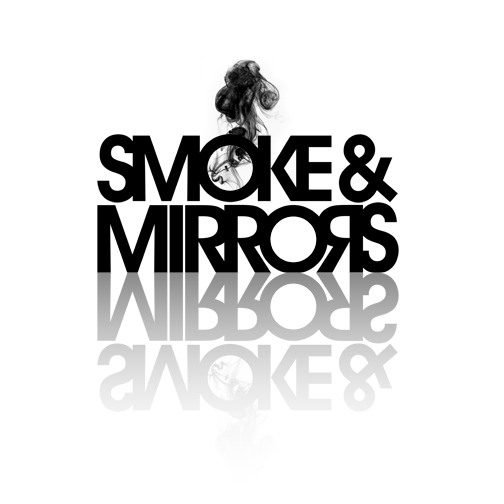 The Governor's Budget--More Smoke & Mirrors! Governor Malloy talks endlessly about how the pain from his budget is going to be shared equally, however, he proposes creating a new "earned income credit" where he plans to use the tax department as a form of welfare agency to send out $1,700 checks disguised as tax refunds to hundreds of thousands of people--most of whom don't even pay taxes in the first place. There is nothing new about this idea, except what Democrats are calling it these days. Democrats have found a way to disguise redistribution of wealth as a "tax credit" and to cleverly hide their welfare agenda through the tax department. After-all, since the tax department exists to collect taxes, who would expect them to be utilized for distributing handouts? As I said, there is nothing new about any of this as the idea behind redistribution of wealth can be traced all the way back to Karl Marx and the 18th century. What Governor Malloy doesn't like to talk about, is that before the state can send these "free" $1,700.00 checks to people he believes deserve your money more than you do, he must first seize that money through taxation from people who worked hard to earn it in the first place. Govenror Malloy defends his plan by saying that after he forcibly takes your money and gives it to these people he believes are more deserving of your hard earned dollars, they will spend that money and that will drive our economy. I guess you could call this plan Stimulus 4, and you could also expect it to be as big a failure as all of Obama's stimulus plans combined. The governor also talks endlessly about how he is going to save so much money by downsizing the state from about 80 agencies (the state is so out of control that nobody seems to know for sure just how many we really have) to only about 50 agencies, but this too is little more than a ruse. The Governor must have attended one of those inferior public schools because he clearly doesn't understand basic math. Let me spell it out for you Governor: you take 50,000 employees, change what boss they report to or what name you call them, you still have the same 50,000 employees making the same salary and benefits. Where's the savings? One thing is for certain. When we have an elected official paying someone $94,000 a year plus benefits to drive her around the state to attend political functions at nighttime, there is still much cutting that needs to be done. Trueworthy's Edict Against New Britain's Business Owners is a DISGRACE! His latest tirade is being directed primarily against two businesses that do bid for city business but are being attacked simply because they are owned by Elected City Officials as Aldermen from the opposite party. It is no wonder no one wants to serve on the council or any city commissions only to be attacked if they should offer the lowest price in response to a city bid request. Trueworthy was quoted in the Hartford Courant article dated 2-16-11 whereby he claims he has "concerns of serious legal problems" being discovered by the Chief State's Attorney; however, this claim appears to be a figment of Trueworthy's warped radical extremist imagination--especially since the Chief State's Attorney's office denies any knowledge of this so-called issue and confirms that the investigation Trueworthy speaks of does not even exist. The anti-business attitude of the Democrats on the council has been common knowledge for some time. Many taxpayers recall how they forced Wal Mart out of town, and then there are the comments to a prospective purchaser of the Pinnacle Heights property with his being asked "where's the beef by their Majority Leader--a childish insult that ultimately led to the investor taking his $5 million and going elsewhere to invest it. It appears these latest shenanigans are aimed at preventing anyone who owns a business, pays taxes or employs anyone from serving on the council. Trueworthy's model council would surely be made up of 15 leeches who have no stake in the game because they own nothing, pay no taxes, and simply exist by bleeding the government for their mere existence, except that they fail to realize that in order for the government to get the money to support them, it first has to seize that same money from someone who worked hard earning it--a concept that many of Trueworthy's minions fail to understand. Where would the city be without these same business owners to work so hard, so they can pay all those taxes that Trueworthy and his cohorts love to spread around to people they feel are more deserving than the very people who worked so hard to earn it in the first place? Perhaps the council Democrats should learn to appreciate the Republicans for making it possible for them to have all those taxes in the first place--especially since so many of them owe their very existence to the government (the taxpayers)! 1) Newly elected Gov. Dan Malloy has repeatedly talked about restructuring government and consolidating and even eliminating certain departments. Please be specific in what departments you would support consolidating and or eliminating and why? I agree with Governor Malloy that there are a number of agencies that can be streamlined without disruption to essential state services. Any consolidation needs to be carefully considered to ensure that desired synergies and cost savings are achieved. The pitfall of merging agencies merely for the sake of consolidation needs to be avoided. Agencies should have common subject areas and missions to ensure that the merger will be successful. Any consolidation should include decreases in staffing in order to achieve and maintain savings. I also agree with the Governor’s recent proposal to consolidate the various higher education agencies to eliminate overlapping of agencies. Another consolidation that I would support would be the merging of all agencies that deal with business development, such as the Department of Economic Development (DECD), Connecticut Development Authority (CDA) and Connecticut Housing and Finance Authority (CHFA) as well as some divisions of other agencies to create “one stop shopping” for new businesses who want to locate in Connecticut or existing businesses that want to expand. Currently, businesses are bounced back and forth between agencies creating frustration and oftentimes failure. Consolidation should either save tax dollars, such as the Higher Education proposal or enhanced service delivery, like streamlining support for businesses. The recently announced proposal to merge the Department of Environmental Protection (DEP) and the Department of Public Utility Control (DPUC) does not appear to achieve savings, reduction in employees or enhancement in service provision, so I would take a closer look at that proposal. 2) The state is $500 million in the red. What specific services would you cut to make up the shortfall? The $500 million is for the current year. Projections show the following year with a $3.7 billion shortfall. Obviously, the usual strategy of cutting a few programs and raising some sin taxes cannot work on a deficit that large. I believe that previous cost saving programs have stopped short of full implementation as the legislature seemed to focus on bridging the budget gap rather than achieving long term, sustainable savings. Previous measures such as number and use of vehicles in the state fleet need to be revisited to ensure that vehicle usage is kept to a bare minimum. Let’s also look at reducing government facilities such as widening the area served by courthouses, Worker’s Compensation and other agencies such as was done recently with the probate court offices. Online service availability should also be expanded. People may have to travel a little further or wait a little longer, but that’s better than having to eliminate services altogether. There can be no sacred cows in this effort to put our fiscal house in order. This means that the state employee pension and post-employment benefits need a total overhaul in order to reign in those out of control expenses. One program I would eliminate is the public financing of political campaigns. There are too many loopholes and it benefits politicians only. Imagine telling some parent we are cutting your child’s Medicaid because we are using that money for political campaigns and you’ll see how easily we can do without this political piggybank. 3) What two specific incentives would you do implement to bring businesses to the state and to keep the businesses we have from leaving Connecticut? The current process for a business to relocate to Connecticut or expand here is way too cumbersome and complicated. The best incentive is to have a business friendly state agency that provides “one stop shopping” assistance in a timely, fair and comprehensive manner. This is why consolidation of the three economic development agencies (DECD, CDA and CHFA) is a step in the right direction. I would also support increased usage of an incentive that has worked well here in New Britain: Enterprise Zone incentives. These programs, in which new or expanded businesses gradually phase in new or increases to their property tax liability (with the difference being reimbursed to the cities by the state) was an integral part in the successful Celebration Foods project as well as expansions by Papa’s Dodge and Webster Bank. I think the state should continue to support Enterprise Zone and other graduated incentives and lower investment thresholds to encourage growth in small and medium businesses, create jobs and prevent the type of “take it and run” result that we have seen with Pfizer and other large corporations. Our business tax structure also needs revamping to support our business and job growth. I support expanding the job creation tax credit to $400 per month and applying the credit to companies when they hire someone who is currently unemployed. In order to be competitive with other states, we need to repeal the ten percent corporate tax surcharge and the Business Entity Tax. 4) What is your specific position on the proposed and controversial busway project and why? I support the construction of the New Britain-Hartford Busway. I also support other mass transportation initiatives, such as rail. Contrary to what you hear from Bristol, the two are not mutually exclusive. My support is based on several factors, the first three which are: jobs, jobs and more jobs. The Busway project alone will create 1000 jobs for local residents. People are out of work NOW and need jobs NOW not when a rail project is started in ten or more years. The Busway also creates a secondary wave of job opportunities with construction of residential, offices and services (such as retail) and then permanent jobs in those new buildings. In addition, employers will see available mass transit in the Busway as a positive reason to locate to the area. Another factor is the large investment of over $60 million in the Busway. Yes, costs have escalated since the project was first conceived, but compare the cost to complete the Busway to starting from scratch for a railway. Our highways need relief now and the Federal government will not look favorably on Connecticut’s complete about face on its transportation policy, which could jeopardize our federal funding for decades to come. I understand people’s frustration with the lengthy time and high cost of the Busway. But we need to keep in mind that the Busway is one part of a total public transportation strategy. It is not an either/or situation between bus and rail – but a question of when and how. 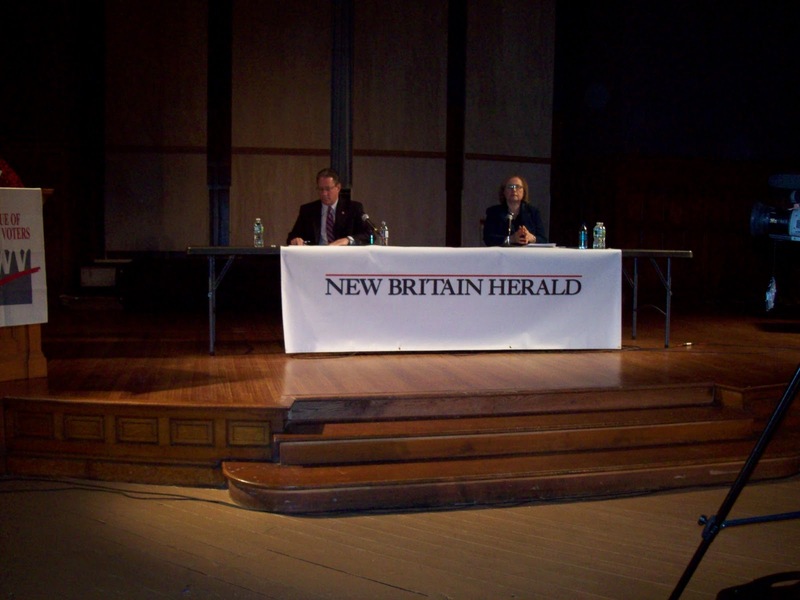 5) Both candidates are New Britain residents and have a long record serving New Britain. What, specifically, can and will you do as it relates to representing all of Berlin and part of Farmington? First, I can bring a strong record of constituent service from my seven plus years as mayor to the office of state senator. I hold monthly open office hours to hear people’s concerns and try to resolve issues. I try to give timely responses – people may not like the answer they get, but they do get an answer. I also make it a point to get out to community events which is a great way to hear what is on people’s minds. I plan to continue this outreach into all three communities if elected to the state senate. Second, during my time as mayor I have already worked with Berlin and Farmington officials by serving on regional boards and working together on matters of mutual concern. I served as President and Vice President of the BRRFOC solid waste disposal authority for 14 towns including New Britain and Berlin. New Britain’s landfill is in Berlin as is a part of our sports complex that houses Rockcats baseball. As such, I’ve worked jointly with Mayor Salina, Town Manager McNair and others in Berlin on shared projects and issues. I’ve also worked with Farmington Town Manager Kathy Egan on economic development on our borders. Lastly, I think most of the concerns are similar in all three towns, particularly the concern over high property and state income taxes. With my experience in cutting spending and lowering taxes in New Britain, I can be a strong advocate for Berlin and Farmington on these fiscal issues. 6) Donald DeFronzo previously held the position as state senator from the sixth district. As it relates to his job in office, please name one thing that you strongly agreed with him on and one thing you strongly disagreed with him on? I admire the strong support that Senator DeFronzo gave to New Britain’s not for profit organizations. During his years in the state legislature, these organizations successfully completed much needed infrastructure improvements which allowed them to continue to provide service to our community. These projects included the Friendship Center’s supportive housing for the homeless, Prudence Crandall’s new facility for victims of domestic abuse, and expansion at the Boys’ and Girls’ Club. Senator DeFronzo was a strong advocate for these projects which helped them successfully receive state funding. The stronger these organizations, the more help they can provide to people in need which lessens the need for government to provide these services. I strongly disagree with Senator DeFronzo’s flip-flop on support for the New Britain-Hartford Busway. I cannot understand why a representative would forsake a project that brings jobs for his constituents, development to his district and provide a much needed public transportation option for central Connecticut. Certainly there are concerns about the cost of the project, but the risks, benefits and need for this project have not changed so drastically as to totally abandon it. In my mind, he turned his back on the people of his district to participate in partisan grandstanding benefitting the town of Bristol, a town he did not represent. The drastic turnaround from his initial strong support of the Busway is not supported by facts. A representative should leave personal agendas at the door and support what is best for the district as a whole. 7) Name one person in state government and or politics, past or present, that you admire and why? To me, New Britain State Representative Anthony “Tony” Tercyak was the epitome of public service. He was a teacher, a Board of Education member, a community volunteer and from 1994 until his death in 2003, served as New Britain’s 26th district as a state representative. Tony took his service to his constituents very seriously. He went to his office at the State Capitol every day, in or out of session. People who called his office were pleasantly surprised to get a call back from Tony himself, usually less than 24 hours after their call or letter was received. He never told anyone “that’s not a state problem, I can’t help.” If someone had an immigration issue, he worked with Cong. Nancy Johnson or if it was a local issue, he called the mayor. Tony did not care if you were Republican or Democrat, rich or poor, Polish or Hispanic, young or old, he saw only people, not their labels. Whether you were the Stanley Works CEO or an unemployed factory worker, Tony treated you the same. He was always a gentleman and always wanted to help. He encouraged many young teachers and political aspirants with his kind words and advice, including me as I ventured into the political arena as a candidate for Board of Education. Tony Tercyak was the consummate “people person” and he had a true calling to public service. People involved in politics today could learn a real lesson from Tony’s gentle manner, selflessness and community spirit. 8) Do you think the right tone has been struck in political discourse these days or do you think there is too much finger pointing and not enough solutions? Unfortunately, political discourse has taken on an overly negative tone, particularly here in Connecticut. The negative ads from both sides in the recent Governor and U.S. Senator elections are sufficient proof of that. It seems that candidates for office spend more time tearing down their opponents than talking about their own records or their ideas and solutions. Also unfortunate is the personal nature of many of these attacks. Accusations, many without basis in fact, are thrown out against not only against the candidate, but their family members and businesses. These rumors and insinuations are then put out on the internet where they take on a life of their own. Much of this mud is slung anonymously on blogs. Even when proven wrong, vicious lies will still hang in cyberspace. I think the media is partially to blame for rewarding this behavior with headlines and coverage. Print media in particular seems to gravitate toward the sensational, rather than do the research and get all sides of a story before printing it. Office holders should focus more on what is best for the people they serve and less on partisan bickering and political gamesmanship. Republican or Democrat, we are here for the same reason: to give back to our communities and serve the public. By all means, question your opponents’ stand on issues, but not their motives or their personal integrity. And don’t just be a naysayer; make your criticism constructive with a solution. CUT THE BUDGET! NO MORE ADDED TAXES! Obama Wants Control Over Each State AND the Country - What State’s Rights? What Constitution? Will SCOTUS Finally Act Like a SUPREME Court and Review the Obama Birth Mess? Click the link above to read the entire text of Governor Malloy's budget address. Share your thoughts and comments here! WHEN: Wednesday, Feb. 16, at 2:30 p.m.
Stewart: "Our next State Senator will have immediate responsibility to promote job growth for Berlin, Farmington, and New Britain." 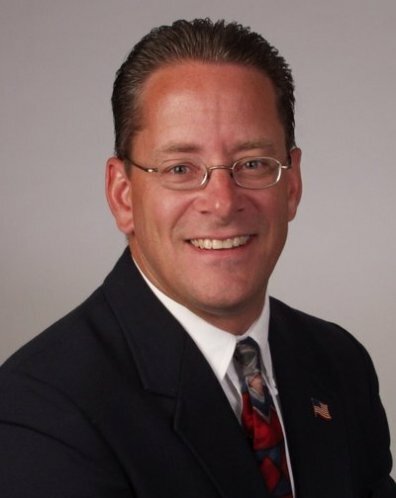 New Britain, CT – New Britain Mayor Tim Stewart, a candidate for state senate in Connecticut’s 6th Senate District, today outlined a series of legislative proposals to immediately promote job growth for the district and the state of Connecticut. As state senator, Stewart will focus on job growth as a top priority, advocating proposals to make it more affordable for businesses to succeed in Connecticut. Stewart supports expanding the job creation tax credit to $400 per month and applying the credit to companies when they hire someone who is currently unemployed. Stewart also supports repeal of the 10 percent corporate tax surcharge, repeal of the Business Entity Tax, and consolidation of Connecticut's three economic development entities (the Connecticut Development Authority (CDA), Connecticut Innovations, and the Connecticut Housing and Finance Authority (CHFA)) into a single Economic Development Authority to reduce government bureaucracy and create one-stop shopping for businesses looking to settle or expand in Connecticut. As mayor since 2003, Stewart has promoted a business friendly administration as a key to attracting and developing new jobs for New Britain. He has lowered taxes in six of seven budget cycles, reduced city spending and created a business development task force to streamline the city’s permitting process. As a result, the city has generated over $100 million in new investments and has helped businesses to create more than 600 new jobs during the past seven years. Tim Stewart has received the support of the REALTORS® Political Action Committee (RPAC) in his bid for election to the State Senate for the 6TH District. RPAC is a voluntary, non-partisan committee of the Connecticut Association of REALTORS® that promotes homeownership and the right to freely transfer, own and use real property of all types. It strives to encourage REALTORS® to take a more active part in the political process and to fulfill their own responsibilities. RPAC provides support to chosen candidates of all occupations, not just real estate practitioners. RPAC communicates the endorsement to members of the Connecticut Association of REALTORS®, urging them to support the endorsed candidate. The Committee raises its funds from thousands of individual Realtor volunteers, most of whom are small donors. They share concerns about excessive real estate conveyance taxes, the need for affordable housing, and a healthy free enterprise system. RPAC’s contributions to candidates are strictly regulated by the State Elections Enforcement Commission. Financial statements are filed regularly with the State of Connecticut. The Stewart for State Senate Committee, having received funding under the State’s Citizens Election Fund, cannot receive any contributions from RPAC in conjunction with this endorsement. The recent BOE meeting with the City Council regarding the BOE budget for next year many questions have surfaced as to why Doris Kurtz is Participating in these discussions since she is a lame duck. towns with more flexibility as they work to balance local budgets. Sherwood is Causing Trouble Again! Former New Britain Alderman Phil Sherwood insisted that he is only interested in making New Britain City Hall government more transparent, and emphasizes that he began pushing for stronger ethics rules for months in New Britain before Mayor Stewart declared his candidacy for Senate seat. New Britain Democrats have been pressing to get their accusations against Mayor Stewart and the Republicans into the news before the Feb. 22nd 6th District election. I call it "Dirty Politics". If Only Democrats Could Read? Legislative Democrats are proclaiming our intersections will be safer with red light cameras, but a CBS report of Los Angeles intersections with red light cameras found that crashes increased dramatically as motorists who stopped abruptly to avoid one of big brother's tickets were rear ended by the person following them who had intended to run the light until the person in front of them stopped. If only our legislative Democrats could read! Click the headline above to read the entire CBS report. Video of Red Light Cameras Making Intersections Safe! With the Democrats in the legislature proposing to make our intersections safe by installing red light cameras, here is a few minutes of video showing how effective that really is! THE COMON COUNCIL CHAMBER LITERALLY WENT TO THE DOGS! With at least 96 attendees with an approximate 40 speakers expressing their views to the council members from towns throughout our state with Minority Leader Louis Salvio he will not listen to comments made by people who do not reside in New Britain. They Came from Watertown, Newington, Berlin, Bloomfield, Washington Ct., Cornwall, Glastonbury, Amherst, Mass and of course New Britain using 90 minutes of discourse. Most pleaded for cats to be included as part of the caring issue for the kennel. One individual talked about a particular household's tenants shooting the neighborhood pets in the head as they go by their property and also mentioned of buying drugs and selling them directly from the property. Some spoke highly of officer Russo's caring for the dogs but pleaded the council membership to include cats for its city pound. Expression of having the city utilizing Pet finders so that many of the animals be placed in a loving home rather being euthanasia by the kennel. Some spoke highly of the dedication that officer Russo handled his job but pleaded that the city should include this care for cats as well. Sir Speedy's "Reply to Charges of No Bid Contracts". You can tell it's election season in New Britain. The mudslinging is thick. There has been an accusation that, as alderman, I have received special treatment when bidding city printing work. My wife Maria and I risked and invested our family savings in starting a printing company, Sir Speedy Printing Center, in 1988. Although the franchiser wanted us to locate in Hartford we decided to start our business in our hometown; downtown New Britain. We have been on the New Britain city bid list since 1988. This means Mayors McNamara, DeFronzo, Blogolawski, Pawlak and Stewart have been in office during this time. June 2003 we decided to sell our business. Sir Speedy continued to do business with the City and remained on the City bid list. In late 2004 we were informed by the new owner that he was closing the doors. We decided to buy back the business. I was a democrat alderman from 1993-2003 and decided not to run for re-election in November 2003, the year Mayor Stewart won as Mayor. When I repurchased the business in late 2004 I was still a democrat and was not on the City Council. I was asked by Mayor Stewart to come out of political retirement and run for the City Council November 2005. I accepted and also changed political parties. I was reelected. I never asked Mayor Stewart to steer city work to my business. To avoid the appearance of conflict our store manager has ALWAYS handled City bid work. He quotes the jobs and, if the lowest bid, the City awards us the printing order. I never asked department heads or city employees to steer city work to my business. To our knowledge the Mayor has never been involved with any bids we have submitted. We have NEVER split orders to get under $3000. According to my store manager the City bids out printing well below the $3000 threshold. Numerous departments bid out printing when they deem it necessary. There is no contract for printing. During my terms as alderman I have NEVER voted for city work being awarded to Sir Speedy Printing Center nor have I voted for changing ANY bidding procedures. According to the list produced for the Herald of work Sir Speedy Printing Center (a) the list included the time frame I was NOT an alderman during Mayor Stewart's first term (b) included work we did for the Downtown District (a non-City agency). There is no documentation to corroborate these wild accusations of "no bid" work being steered to my company. This is all about the people trying to embarrass Mayor Stewart two weeks before the special election. This is, unfortunately, the underbelly of New Britain politics and is even low for New Britain standards. This is why good people choose not to get involved in politics. I guess I should be honored. This is the same anti-business crew that (1) kicked Walmart out of New Britain (2) ridiculed the several million dollar offer made by a potential purchaser of Pinnacle Heights (3) condemned Papa's Dodge and Schaller Auto for legally asking for tax breaks to expand and bring jobs to New Britain. As a New Britain small business owner of 20 years what am I to tell my employees? Don't bid legal, legitimate City work? Don't respond to bid requests? Don't deal with customers at the front counter that need immediate service? Don't answer the phones? Give work to our out of town competitors? People have to ask why businesses would want to locate in New Britain. We saw what happened when an out of town company bid the Fairview Cemetery fence even though the City had a bona fide fencing company, owned by Alderman Willie Pabon, that does quality, cost effective work. Willie Pabon chose not to bid the Fairview Cemetery work, the Aquinas work or the Police Department because of the poisoned atmosphere. Too bad. His quotes would have saved the City over $20,000 and provided jobs for New Britain residents. So much for being "business friendly". Furthermore; Was Roy Occhiogrosso Truthful? Mayor Timothy T. Stewart today announced additional measures the City is taking to ensure public safety as New Britain continues to deal with an unprecedented accumulation of snow. At the meeting were representatives of the Police, Fire, Public Works, Parks, Property Management and Water Departments as well as from New Britain EMS (ambulance) and the Consolidated School District. Issues discussed included accessibility of emergency vehicles and school buses, restrictions for on street parking, visibility at intersections and sharing of information among departments. 1. Effective immediately and until further notice, there will be a 24-hour parking ban on streets designated as snow emergency routes (see attached list). No overnight parking will be allowed on these streets. This is separate from the storm related parking ban being issued for Tuesday’s anticipated storm (#2). 2. A parking ban for all City streets will begin at midnight tonight (Monday, February 7th) until further notice. Given the limited width, particularly on secondary roads, the ban will be strictly enforced and cars will be ticketed and towed. Residents are reminded to use the lots designated for free parking (see attached). 3. Residents, businesses and private plowing contractors are reminded that under Connecticut General Statutes Sec. 13b-221 there is a $100 fine for dumping snow on a public road. Contractors plowing driveways and private parking lots have made a bad situation worse by plowing snow into already narrowed City streets. Police will be strictly enforcing this statute during Tuesday’s and any additional storms. 4. The School District, Fire, Police and EMS will be working together with the Public Works Department to prioritize areas that need snow removal to improve accessibility for emergency vehicles and school buses. Other City departments, such as Parks and Property Management, will assist in helping to clear those priority areas. 5. When clearing out the above priority areas, it may be necessary to temporarily limit parking and access to streets to facilitate the cleaning. 6. Property owners are reminded to clear their sidewalks and any fire hydrants near their property. Also, if there are catch basins in the vicinity of your property, please attempt (although snow accumulations may make this not feasible) to keep those clear to minimize flooding and standing water when thawing does occur. Questions on parking bans and other traffic concerns can be directed to the New Britain Police Department at (860) 826-3000. Concerns on snow operations can be directed to the Public Works Department at (860) 826-3350 or after business hours to the City Yard at (860) 826-3480. New Britain Snow Emergency Routes: NO PARKING ON THE STREETS NOTED BELOW UNTIL FURTHER NOTICE! Sec. 15-121. Snow emergency routes designated. Beaver Street, from North Street to Farmington Avenue. Brown Street, excepting the south side thereof between High Street and Burritt Street. Child Street, from Newington Avenue to Connecticut Avenue. Columbus Boulevard, from Cedar Street to Ellis Street. Governor Street, from Farmington Avenue to Corbin Avenue. Griswold Street, between Grand and Hart Streets. Grove Street, between Myrtle and Broad Streets. Lincoln Street, between Black Rock Avenue and West Main Street. North Street, from Main Street to Martin Luther King Drive. Oak Street, from North Street to Allen Street. Osgood Avenue, between Slater Road and Farmington Avenue. Woodland Street, north side only. (Code 1970, § 22-41(18); Ord. of 1-85; Ords. of 4-88(2); Ord. of 5-89; Ords. of 1-90(2); No. 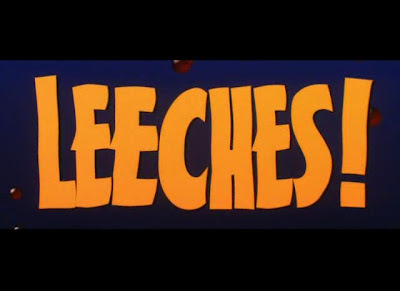 When a parking ban is enacted all vehicles parked on city streets while the ban is in effect are subject to a $100.00 parking ticket and may be towed at the owner’s expense. Residents are urged to cooperate with the parking ban so as to facilitate the removal of snow from city streets. DeFronzo writes a crass letter to the Editor of the New Britain City Journal. I’ll concentrate mostly on that letter since, Trueworthy’s demand, is as usual, incoherent nonsense. Actually, DeFronzo spends a good deal of his letter talking about his tenure as Mayor of NB and how taxing it was to him, personally. Can anyone in NB recall anything significant accomplished by the DeFronzo administration? Before the fact - the 2/22 special election – DeFronzo accuses the Mayor of having, (1) a conflict of interest and, (2) “ ... the attempt to grab and consolidate the power and influence of two major political positions is a bad decision.” DeFronzo cites the NB Charter and says that Stewart must have no other occupation while Mayor. Let’s say that the Mayor was a day trader in the stock market and made the bulk of his income that way. Is a lucrative hobby another occupation? Is that any worse than DeFronzo being in violation of the Federal Hatch Act in 2002? DeFronzo was executive director of the NB HRA; yet, someone at HRA gives him a “no-announcement/no application other position and a slight pay cut. Don runs for the State Senate and beats Bozek. You want to talk about conflicts? DeFronzo spends most of his time pontificating about the responsibilities and demands of public service. OH, give me a break! He speaks of the attempts to hold dual or more political offices and the conflicts of interest attendant on the practice. Don, the State legislature is full of such conflicts. And Don, don’t lecture people about “... well reasoned and long established standards “ of behavior of public officials. What are the standards that keep Rick Lopes and Greg Gerratana employed as legislative aides? Tim Stewart is an honorable man and won’t leave New Britain in the lurch. He has made that abundantly clear in a recent public statement. As The New Britain Herald said in a recent editorial, (2/3/11), “Always Check The Facts.” Apologies in advance if I failed to do so. Jeb Bush in 2016? The National Review thinks so, and has put the Republicans’ favorite non-candidate on its Feb. 21 cover, Politico reports. 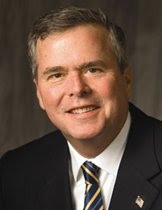 Bush dismisses a 2012 run, but what about 2016? 6TH District State Senate candidate Tim Stewart today answered a request from several local Democrat office holders that he and his opponent, Terry Gerratana sign a “pledge” regarding their conduct if elected. “Late yesterday, I received an email from Mike Trueworthy (New Britain Common Council member) giving me what is in effect an ultimatum to sign this document by 2:00 pm today, less than 24 hours after having received it. This is thinly veiled attempt to keep the issue of my tenure as Mayor alive, when I have already issued a statement (attached) that puts the matter to rest,” said Stewart. This editorial raises serious questions about what candidate Gerratana might have known about the sleazy tactics that were being utilized by a "push" poll conducted on behalf of the state Democratic Party. Recently there has been a great deal of controversy about a push poll funded by State Democrats under the guise of research. In this push poll the "researchers" make numerous misleading and outright fabrications about New Britain Mayor Tim Stewart's record, especially in regard to taxes. Dan Kelly of the State Democratic Party has claimed that every question in the push poll was proven fact, including one question that alleges Stewart, who is a candidate for the 6th District state senatorial seat, has increased spending in New Britain by $40 million each year. As chairman of the Board of Finance and Taxation, I feel it is my obligation to point out that this claim by Mr. Kelly is completely false. I believe this data makes it abundantly clear that Mayor Stewart has, in no way, increased city spending by the amounts claimed by the Democratic party and that this supposed poll is nothing but a smear campaign. The voters of Berlin, Farmington, and New Britain need to know the truth. Mayor Stewart has held an amazingly tight reign on municipal spending and taxes. As a result, year after year Blum Shapiro, a highly respected accounting firm, has repeatedly given the city and Stewart positive recommendations to the rating agencies. Subsequently, the city has been able to maintain a favorable AA bond rating throughout Stewart's tenure. Therefore, it easier and less costly for the city to borrow money needed to undertake improvement projects like the current police station project. I know from my role on the Board of Finance and Taxation that working to present a balanced budget that addresses the needs of our city and is fiscally responsible is an extremely difficult task. Mayor Stewart should be lauded for successfully working with unions, city departments, and the common council to ensure the taxpayers of New Britain are well served and not overburdened. I can only hope that in the coming weeks, the state Democrats and their candidate will stop wasting their energy on false allegations and instead focus on addressing the concerns and issues that matter most to voters. February 1, 2011 5:30 PM"
Does anybody really want Mike "trainwreck" Trueworthy to step into the mayor's seat? Tim should finish his term and do the city a favor by not allowing the possibility of an unqualified person to occupy his seat! When this current Common Council was voted into office in November of 2009, Republicans on the Council nominated Mark Bernacki for the position of Mayor Pro Tem. We argued that Mark, a Republican like the Mayor, represented the kind of person the Mayor could trust to lead the city in a responsible way in those times when the Mayor, for whatever reason, could not be present. The vote at the time was, 11 Democrats for Mike Trueworthy, 4 Republicans for Mark Bernacki. Had Mark Bernacki been voted to be Mayor Pro Tem, the above-quoted post at the beginning of this comment would not have been possible. Having Mark as Mayor Pro Tem would have made Mayor Stewart's transition to the State Senate non- problematic. Right now, on the Council, Mike T. wanted to handle being both Pro Tem and Majority leader (double duty?). 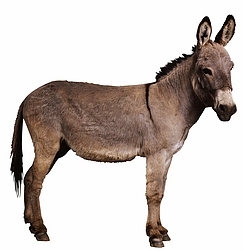 Fortunately, while it may be different in their caucuses behind closed doors, Democrats chose to name Eva M. as their majority representative. Council Democrats would do well to ask Mike T. to stand aside when Stewart wins the State Senate election. Can't wait to see the rebuttals to that last sentence. VIRGINIA CALLS FOR CONSTITUTIONAL CONVENTION TO ALLOW STATES TO INVALIDATE FEDERAL LAWS! To prevent abusive laws like Obamacare from ever being forced upon the states by an overreaching, overzealous federal government, the Commonwealth of Virginia has started the process to amend the U.S Constitution to allow the state legislatures the power to invalidate absolutely any federal law they don't like. Making application to the Congress of the United States to call an amendment convention pursuant to Article V of the United States Constitution for the purpose of proposing a constitutional amendment that permits the repeal of any federal law or regulation by vote of two-thirds of the state legislatures. The Idaho Attorney General’s office announced the settlement this afternoon 02/01/11 that Mountain West Research Center of Pocatello, Idaho had agreed to pay a fine and cooperated with the investigation after those polled complained that the pollster didn’t disclose who was paying for the poll even though they were saying negative things about Republican Senate candidate races. After many questions were asked by the Idaho Attorney General’s office the telephone poll stopped. 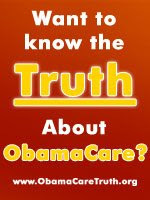 Obama Tells Ellen DeGeneres: Forcing The Unisured To Buy Health Insurance Is Like Forcing The Homeless To Buy Homes! February 1st Meeting CANCELLED! | New Britain Republicans: "February 1st Meeting CANCELLED! Tonight’s monthly meeting of the NBRTC is cancelled due to the terrible weather. Please keep safe if you have to drive and avoid the roads if at all possible. We will be meeting next Tuesday, February 8th, at the State GOP Headquarters at 321 Ellis Street (5th Floor). In the meantime please do what you can to help support Tim Stewart’s campaign. You can sign up to volunteer at his website (www.stewartforstatesenate.com) to phone call or request an absentee ballot. Also, please talk to your friends, family, and neighbors about this upcoming election. Word of mouth is one of the best ways to convince voters about all the good Tim has done for New Britain and all the good he will do for the 6th District if elected. February 1st, 2011 | Category: Events, Republican Town Committee | Leave a comment | ShareThisComments"